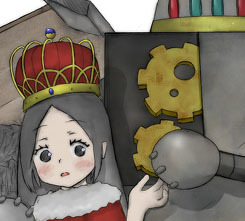 At long last, sasakure.UK has debuted with his tablet! It's my first time drawing something straight to PC. I hope to study harder and create a wide variety of artwork and creations! 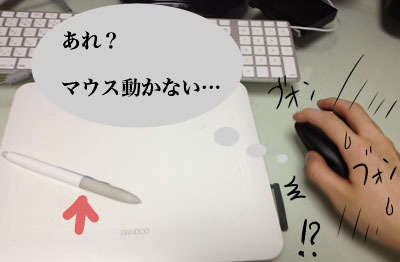 When I first used the tablet, I thought, this tool... it's so very easy to use...! * Just in case you don't know what "easy to use" means. But, yes. It makes it very easy to adjust the balance of a figure, or fine-tune the details of lines. When drawing on paper, using an eraser to make adjustments often erases a lot of the surroundings as well. Yes, today was when I realized the tablet was one of the greatest chemical weapons given to mankind. However, there is one... fault? the more we seek that convenience from paper media as well. Before I draw the lines on the tablet, I do a quick scribble on paper first. And often in this process, I mis-scribble. "Huh? The mouse isn't moving..."
I'm sure this has happened to you often? Yes. I wish to share in this sorrow with you. There must be artists out there who have carried out the same mistake as I...! sasakure.UK sez: There must be... there simply must...!! Friend A (Artist) sez: Uhhh, nope, haha. Friend B (Designer) sez: Sorry, but no. Friend C (Artist) sez: I don't even... know how you could do that?